1. Now that we’re officially a week into spring, open your door, sweep off your porch, and toss or organize any clutter that’s crowding your outdoor space. 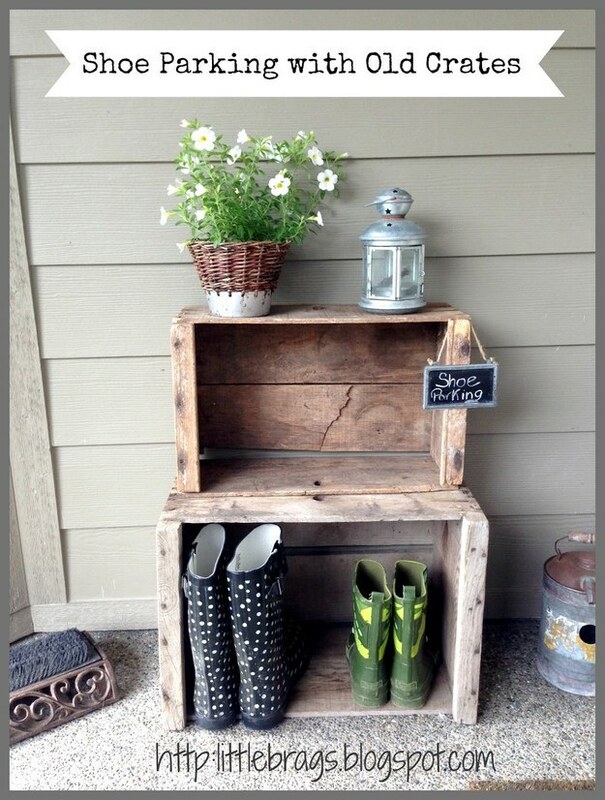 Old crates work well as DIY outdoor storage shelves, if you need a little bit of structure for your porch. Get more outdoor space inspiration here. 2. 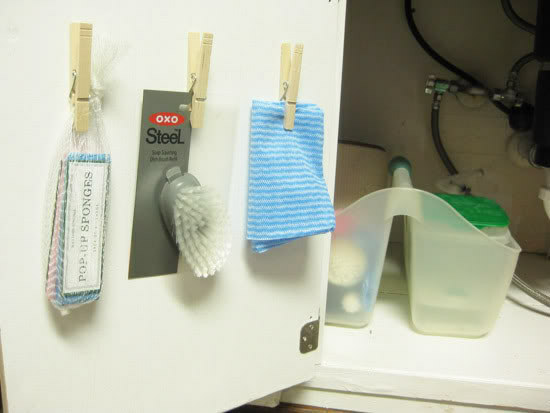 Secure clothespins to the inside of your kitchen or bathroom cabinets to make extra sponges or washcloths easy to find and grab. This tutorial uses mounting tape to stick the clothespins to the cabinets, but you could also use removable picture hanging strips if you’re worried about damaging the paint. 3. Pull all of your springtime jewelry out of your closet and display it so you’ll actually remember to wear it. 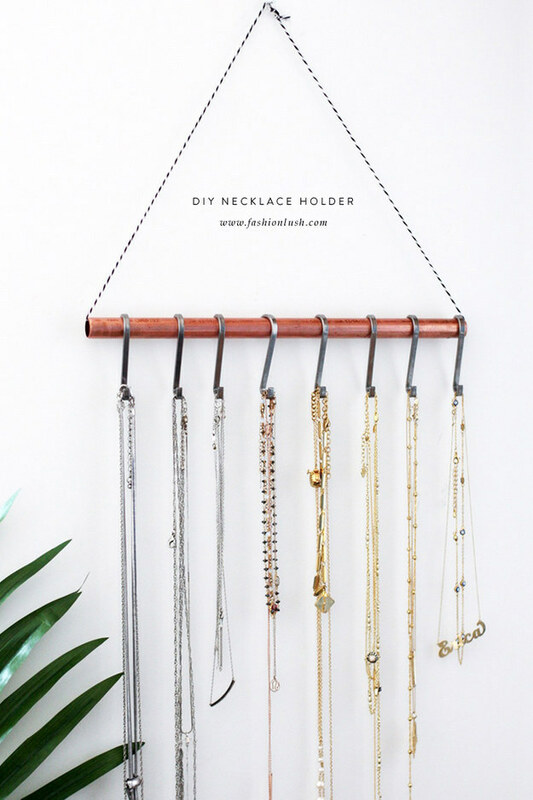 Learn how to make this super easy and affordable minimalist necklace holder here, or use whatever display works for you! 4. 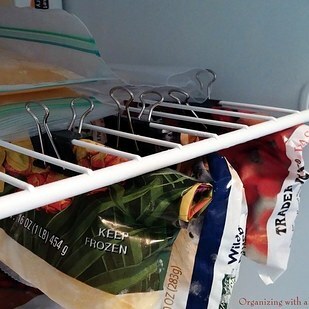 If you keep lots of frozen fruits and veggies around, use binder clips to fake a second shelf in your freezer. No digging through piles of bags to find what you’re looking for! From here. 5. 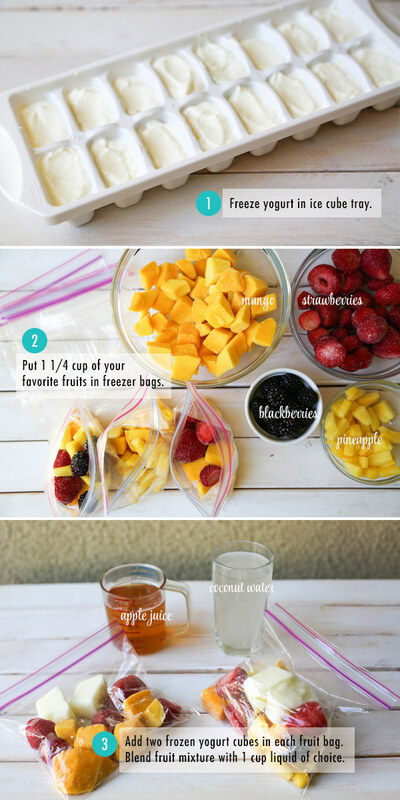 Make smoothie packs using frozen yogurt cubes and fresh fruit, so you have a delicious breakfast every morning for the full work or school week. Get the recipes and full tutorial here. 6. 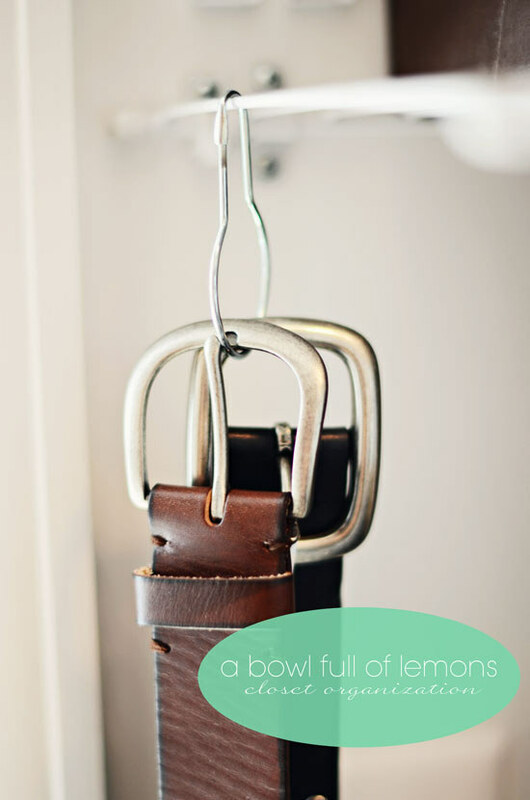 If your belt collection is on the smaller side, use shower curtain rings to hang them from your closet rod or wire shelf. This could also work for scarves! 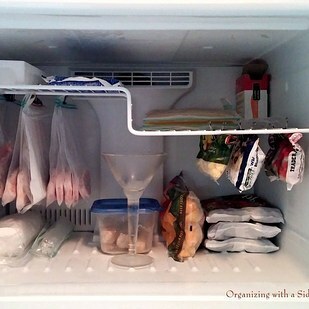 See the rest of this organized closet here. 7. Gather all of your pens and pencils in once place, then go through and toss the ones that don’t work anymore. 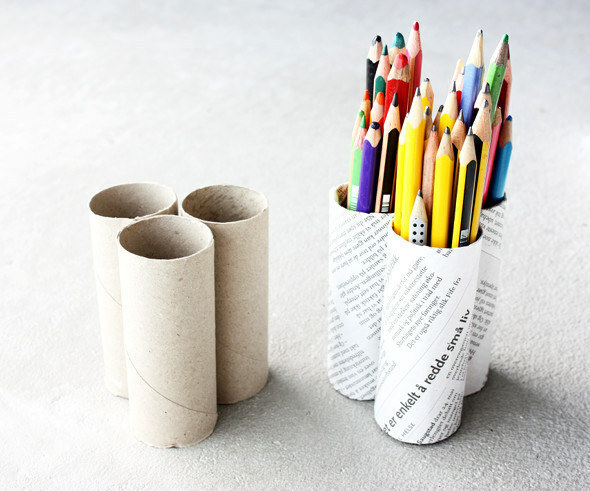 And if you don’t have a cute holder for them already, try making this one out of three empty toilet paper rolls.